All SUMMIT AT COPPER SQUARE C homes currently listed for sale in Phoenix as of 04/19/2019 are shown below. You can change the search criteria at any time by pressing the 'Change Search' button below. "Seller to buy down rate to 3.99%! Penthouse with NE views from 21st Floor with 2 Parking spots and Storage locker. 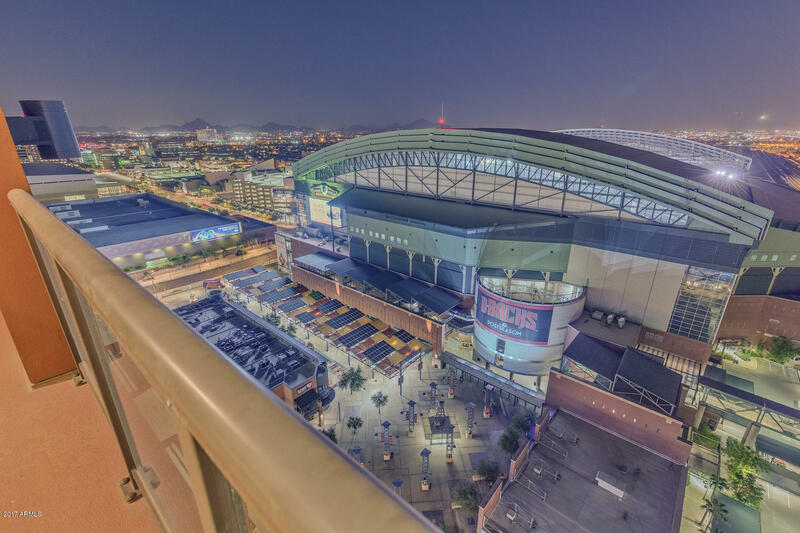 Sports enthusiasts, this condo is across from Diamondback stadium! 2 bedrooms plus a Den with 2.5 baths. NE orientation offering city and mountain views. Extensive upgrades include NEW carpet, NEW faucets and fixtures, granite counters, oak hardwood floors, stainless appliances, George Kovacs stylish track lighting, jetted tub and large seamless shower, Travertine floors in baths"
"Gorgeous 9th floor corner unit now available! This gem offers a spacious 2 bedroom, 2.5 bathroom space with amazing upgrades. Beautiful southwest exposure gives you the perfect combination of city and mountain views. 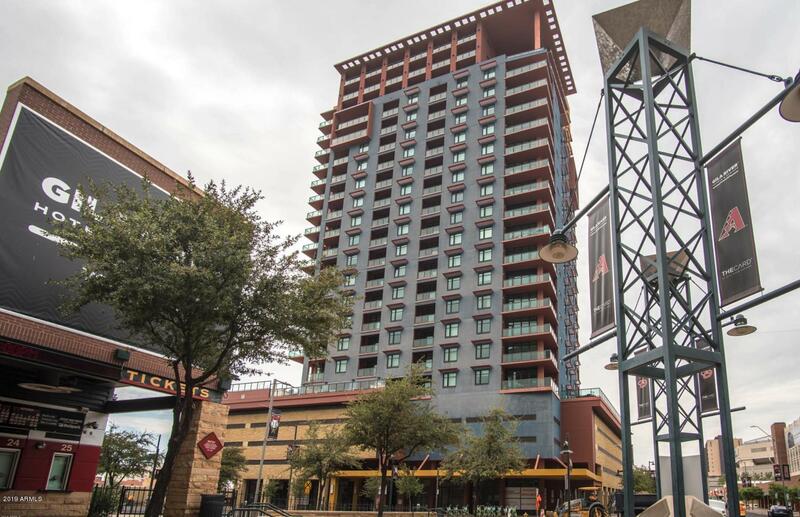 Spacious wraparound balcony providing you unobstructed views! 24 hour security. Private underground parking along with lift, giving you 2 parking spaces! Beautiful 5th floor pool and spa area overlooking Chase Ball Park. Shared rooftop access giving you stunning views of Phoenix. Co"
"WOW! Views! 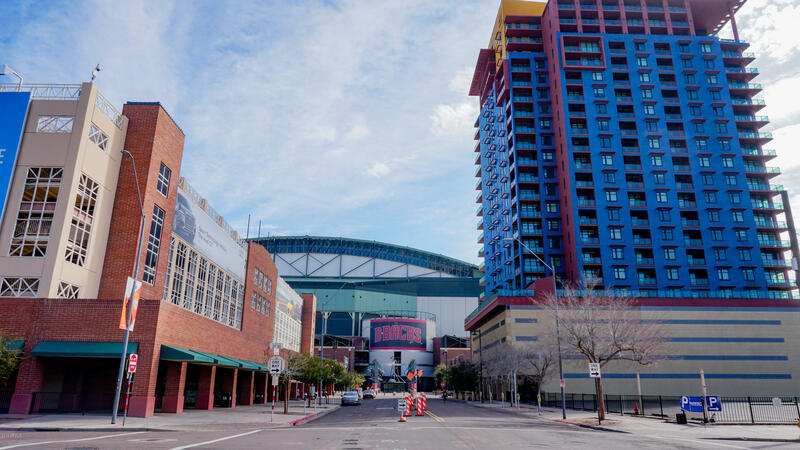 This is the ideal property for the buyer wanting to be in the heart of downtown Phoenix. Come see this perfectly situated corner unit in the Summit at Copper Square. 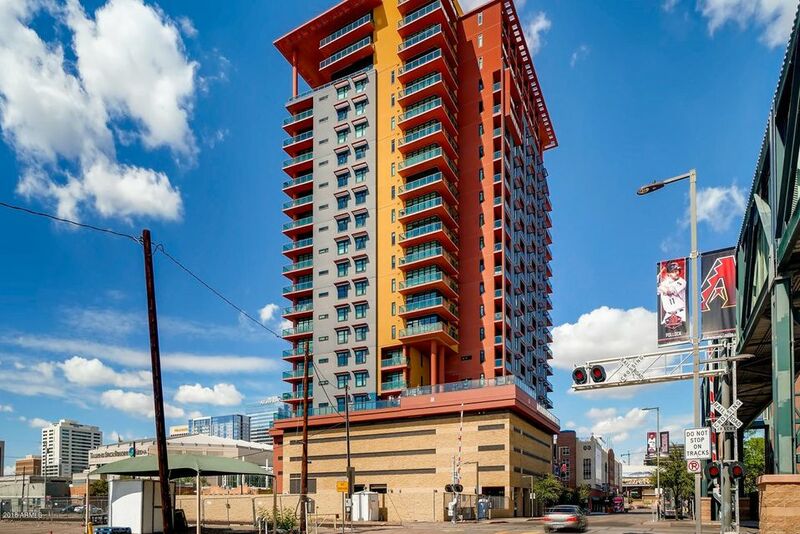 The amenities in this building provide high convenience, and high quality of life. Not to mention the endless list of places within walking distance. Come enjoy this well appointed property today!" "Look No Further. This Is The One! Enjoy West Phoenix Valley Views! Enjoy the Fabulous Sunset in Phoenix West Valley in Luxury of your Condo that is Highly Updatet just few months ago and that Includes:12x24 porcelain high shine tiles with 1/2 inch sound proof pad on the entire apartment. New kitchen and bathroom cabinets with high gloss finish with Crystal handles. Quartz countertops white pearl with single bowl stainless Steel sink"